Every video project is different and each task can and will involve different requirements to accomplish the project. We will outline and assist you in grasping the three steps of the video production process. These are not concrete bylaws, but depending on the project, the workflow typically remains the same. The foundation of the video production process is the pre-production step. It begins with sitting down in a meeting (in person, Skype, or Google Hangout) with the production team to plan thoroughly how the production will be produced and how you want to grab your audience’s attention with the final produced video. We go over the script, narration, storyboard, production day, and extra details that is needed to be discussed during post-production. Investigating the location where the shooting will take place and assessing any potential problems will be discussed. Most important is getting a production budget set, which will then lead to hiring the crew according to the ideas of the video project. You have finally reached the day of shooting your video production. Again, depending on the scope of your project, we will have someone accountable for camera operation, lighting, sound, makeup, directing, and any other needed staff members. All are vital aspects to the production day for your video. There might be several takes of the same shot until the proper shot has been achieved and to have a variety of footage for post-production. A production day can last anywhere from 2 hours to a full 24 hours, depending on the project. Production costs will be based on what was discussed in pre-production with the producer. After the production day is a wrap, the project enters the final step of the process, which is called post-production. This is when the production team’s video editor puts together what has been shooted from the day of. The footage is backed up and then it is time to enter the video editing workflow, which utilizes computer hardware and video editing software. Cutting, color correction, animations, transitions, motion graphics, voice-overs, music and other important pieces are paced, added, timed, created, and changed on the project’s timeline. Sound is also mixed and mastered appropriately by a sound engineer. It is also in this stage where the completed video is exported to the file format that you require and into a format that makes it available to view online on YouTube. A good well thought out video production, between preparations, shooting, and editing will take many man-hours. 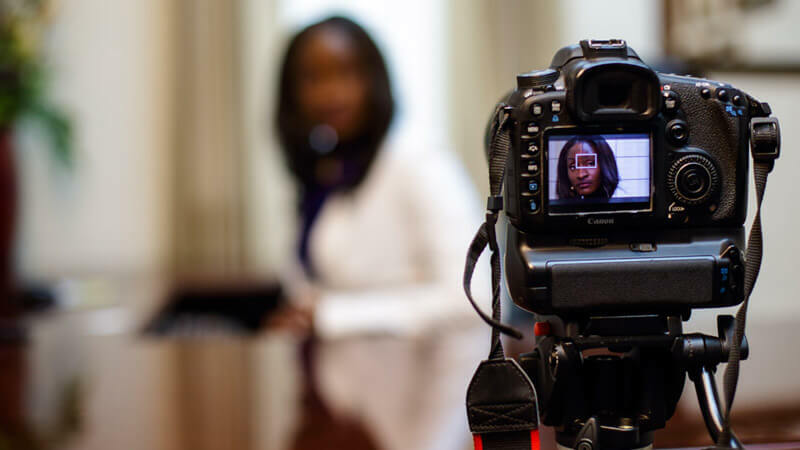 Those are the three steps to the video production process explained to help you understand the time and effort that will go into a video project that you desire. To ensure that you get what you need, we will depend on you to provide feedback on the projects goals and provide details every step of the way. We will be the company to help you create the best professional video possible to fit your business’s needs. Lasting Blueprint Productions are the professionals that can and will produce for you an affordable, cost effective, and competitive high quality video production.